Describe your symptoms and Diagnoser presents a structured list of potential diagnoses. 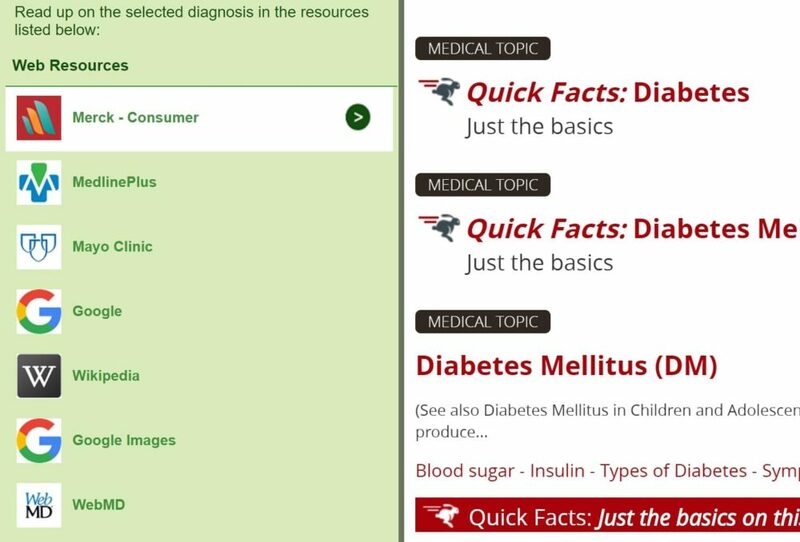 Features: Structured diagnoses list, trusted knowledge source linking, medical advice attention alerts. One day free trial when signing up for PREMIUM membership. 3 free diagnostic examinations with your free trial. No credit card are needed for free trials. Subscription expires directly after your free trial. Sign up for a good cause – Part of your paid subscription are used by our charity inEmpathy.org to democratize healthcare in developing countries. Read more. 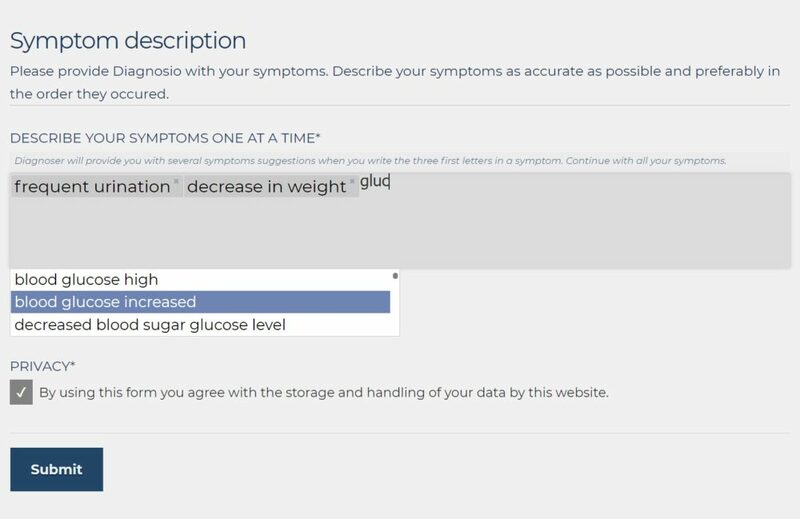 Diagnoser will present a structured list of diagnoses based on your described symptoms and other data that you will provide. 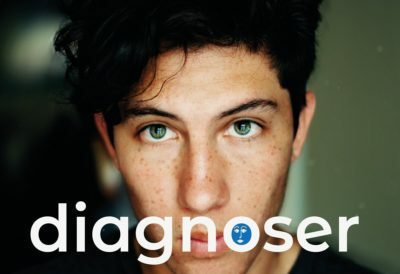 Diagnoser is based on a deep learning data base of thousands of diagnoses and millions of previous inquiries. When you sign up for a Diagnoser Personal Small Free Trial subscription to use the application Diagnoser, you will automatically have PREMIUM membership in Diagnosio Community during the free trial time. Read more about your benefits under the tab PREMIUM Member. Dedicated for you that need immediate diagnostic support and learning about your symptoms. You can during one day request for 3 differential diagnostic examinations based on your symtoms. At the end of the subscription period or the inquiry limit is met you will be asked to upgrade or start a new subscription. Your contact data – a part of your membership and where to send your result. *Gender and if you are pregnant. *Region you are living in or has recently been in. *Your symptoms including intensity or position. Diagnoser will also assist you by suggesting symptoms when you start writing. *Diagnosio deep learning modul depends on this data. 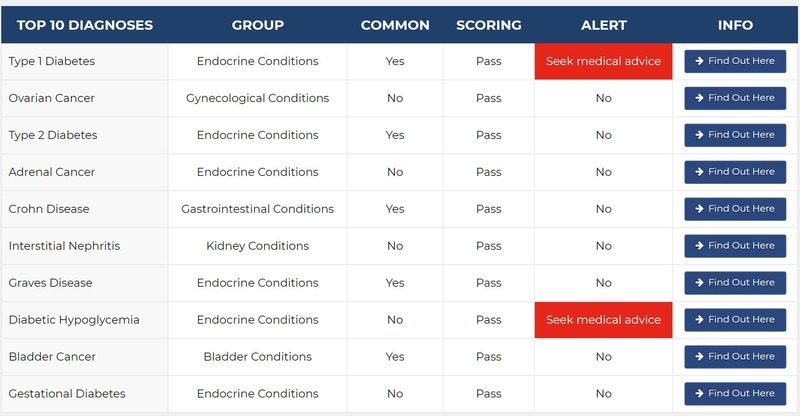 Structured table of potential diagnoses. Knowledge links to trusted sources for each and every diagnosis in the presented table. 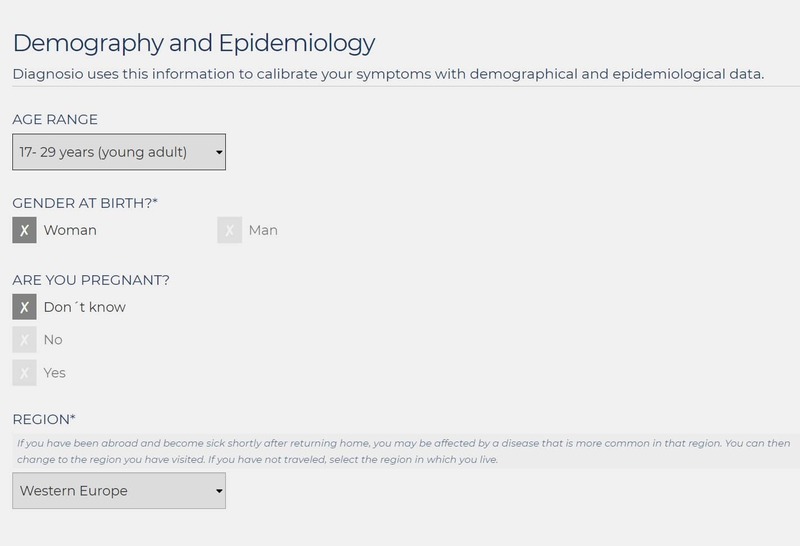 When relevant, Diagnosio will alert you for seeking medical advice for specific diagnoses. You are automatically supporting for a good cause. For every 10:th diagnostic examination you do using Diagnoser with a paid subscription we will donate the corresponding revenue to develop dedicated similar services to democratize healthcare in developing countries. The good cause is activated through our charity inempathy.org Read more here. *This subscription is intended for personal use only. The system checks with different identification measures for each and every submission to prohibit abuse. Limitation of number of submissions is based on such identification measures. 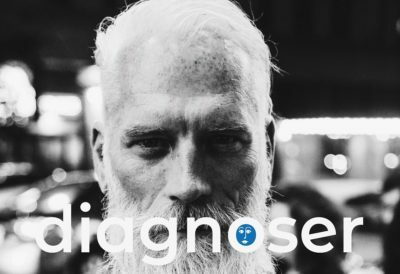 When purchasing a subscription to use the application Diagnoser, you will automatically become a PREMIUM member in Diagnosio Community. Your membership plan is directly tied to your type of subscription of Diagnoser. PREMIUM membership is a paid membership using recurrent payments for subscriptions. You can buy a Personal plan or a plan for your *Family. Periodic news about our products. Future perks when we launch new features. Prospective to be a Beta tester (for fun or benefit additional perks). Diagnoser *Family (Small, Standard, Plus) – Number of examinations limited within family. Upgrades to higher level of membership plans are prorated. All upgrades contains all the benefits you already have plus the new benefits. You have you own private account in Diagnosio Community. The account is always personal i.e one account holder for Personal plans or Family plans. You can quit your membership whenever you desire and we will erase all you private data from your account. For all plans, free or paid, you will have an account. Account credentials is sent to your e-mail address when signing up. *Family subscription plans are not available at the moment. Please, sign up on waiting list for Family plans. ** Native apps not available at the moment. However, Diagnoser works perfectly fine on any smartphone browser. 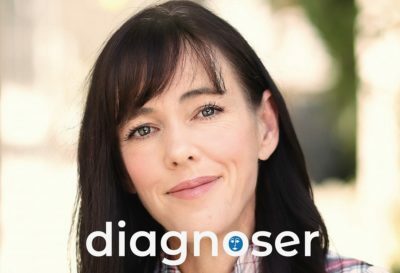 The Diagnoser application could be used on most screens i.e desktop, mobile phones or tablets in the normal browser such as Chrome, Edge, Explorer*, Safari. Our website is responsive which means that the site more or less adjusts itself depedning on the size of your screen. This should work fine on most screens including your smartphone or tablet. You can also download the product as an common app from Appstore or Googleplay. In order to download our apps for smartphones you need to be at least a premium member or become such a member at this website or at the download process on your smartphone. The native app for smartphones/tablets is heavily reduced, however dedicated, compared to the website. *Switching between desktop and your smartphone or tablet. You can then use the product application on the website or on the smartphone seamlessly as an inlogged user. Whatever system you will use, the application will identify you from your logindata. You don´t have to pay for the same service twice. **Internet Explorer: Some users have encountered issues using certain versions of Internet Explorer, why we recommend not to use Internet Explorer at the moment. *The native app for download is a coming feature. When you sign up to Diagnosio Community you will get the benefit to use our services. We can not control how you use the services and therefore we cannot take the responsbility how you act on any information that our services provide to you. Although, when you use any of our services as it is intended we will not take any responsibility how you act upon the given information. 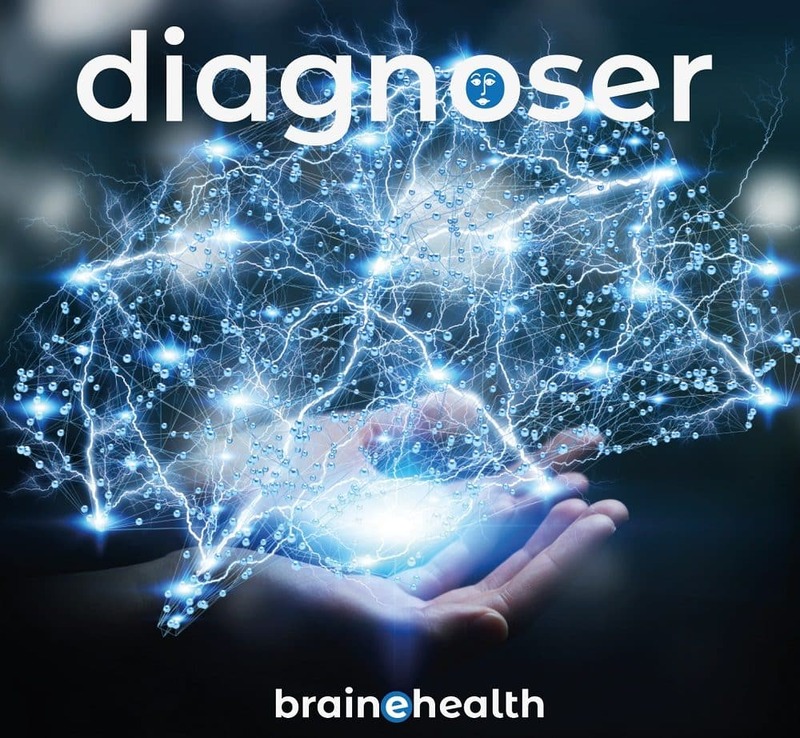 Diagnosio Services or Products are distributed and sold by BraineHealth AB and at this site branded as Diagnosio. Use of Diagnosio services/products is not intended to replace or in any way substitute medical advice from your family doctor or any other authorized medical expertise. Any use of Diagnosio outcome should be used together with medical expertise. Always seek advise from medical expertise during any circumstances. Please read our full Terms and Conditions before you use our service in conjunction with our complete set of policies and disclaimers. The regulation aims primarily to give control to citizens and residents over their personal data and is fully affected since 25 May – 2018. We are only using your privacy data in order to get this membership service to work for you. You can at any time ask retrive all information about you that is used for the service you have signed up for.